Watch this video which highlights the students first visit to the preserve in October 2008! Watch short video of baby deer at the preserve in 2014. 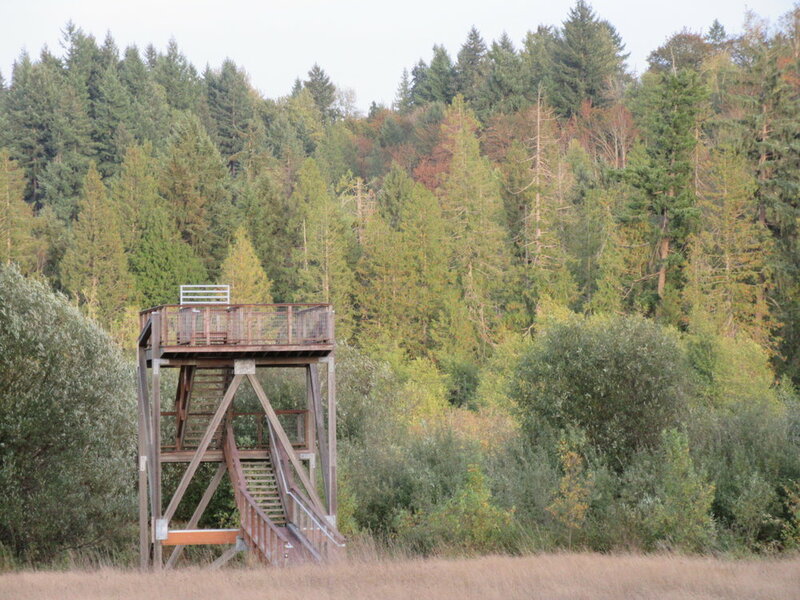 The Morse Wildlife Preserve was established by a donation of land from Lloyd and Maxine Morse. Situated at the headwaters of the north fork of Muck Creek, and consists of almost 100 acres. A tremendous volunteer effort is under way to reintroduce native prairie plants, remove invasive plant species and foster the growth of the oak savannah. The Morse Force, which serves as the volunteer management team for the Preserve, holds monthly work parties to restore the wetland, prairie and upland habitats as well as building a board walk and new trails. The preserve is a mosaic of forests, wetlands, meadow and remnant prairie home to a variety of birds and wildlife. NOTE: This private preserve is only open to the public for special events, scheduled field trips and Second Sundays at Morse (on the 2nd Sunday of the month from 9 a.m.- 3 p.m. between April and October (please arrive by 2 p.m. to allow time to explore the preserve). In order to protect wildlife and people, pets are not permitted. Jerry counts the young with optics at Morse Wildlife Preserve. The public was invited to watch and help as birds were taken from mist nets and nest boxes for banding and recording vitals. If you are interested in volunteering at the preserve throughout the year, please call 253-565-9278 for information or email morsewildlifepreserve@gmail.com. To learn more about Morse Wildlife Preserve, visit morsewildlifepreserve.org or check out the Morse Wildlife Preserve brochure (also available at the preserve). Morse Wildlife Preserve will be open to the public on Second Sundays, April-October from 9 a.m. - 3 p.m. (please arrive by 2 p.m.). 25415 70th Ave E., Graham, WA. From WA-512 East take the Pacific Ave/WA 7 Exit. Turn right (south) onto Pacific Ave/WA 7. At the Roy “Y”, bear left, staying on WA 7.